The Takutu River Bridge, this bridge was built to connect Guyana to Brazil. 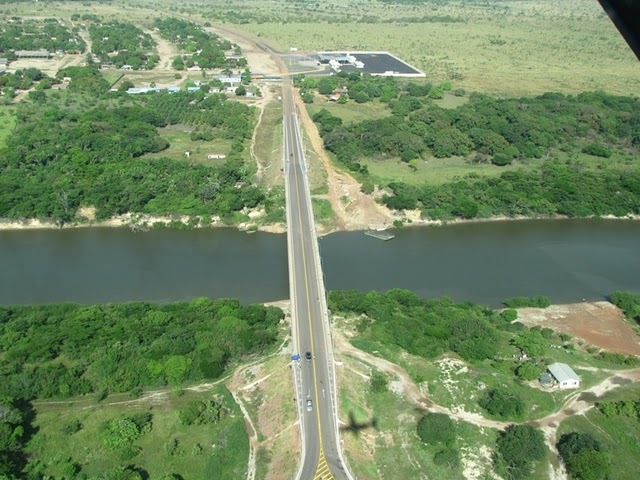 It was opened on July 31 2009; The Bridge is located in Lethem, Guyana and stretches across the Takutu River to link the two borders of the two countries. The bridge cost 5 million USD and was paid for by Brazil. This bridge allows smooth and easy travel into Brazil nearest town Bon Fim.